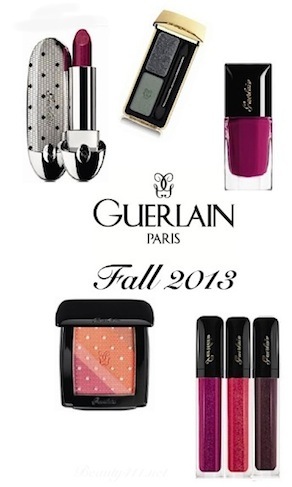 I always look forward to a new Guerlain collection and Voilette de Madame for Fall is particularly striking. 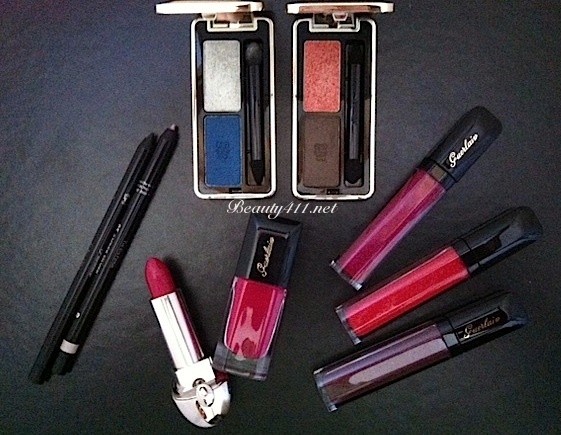 Rich colors for eyes are paired with gorgeous shades on lips and nails. 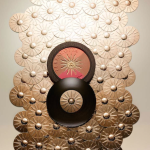 Ecrin 2 Couleurs ($44) eyeshadow compacts in eight new, dazzling shades. 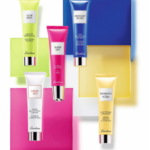 Each Ecrin 2 Couleurs compact contains one pigmented, pure color and one luminous veil. The pure color shadows are matte and intense, while the other is a sparkly or metallic texture. 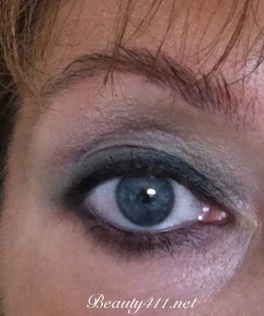 I tested 02 Two Stylish (deep blue and metallic grey) and 08 Two Spicy (ebony brown and spicy coral) and am showing a smoky look I did with the Two Stylish shades and using the new Black Jack Eye Pencil. I’ve said it before, but the other key to a smoky eye is using a blender brush (if you don’t have one in your collection, this is a must-have tool). 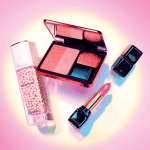 Madame Rougit Blush ($67), a quartet of harmonious shades to complement every skin tone. Shades in the Madame Rougit Blush include Raspberry, Pale Pink, Beaige and Coral. 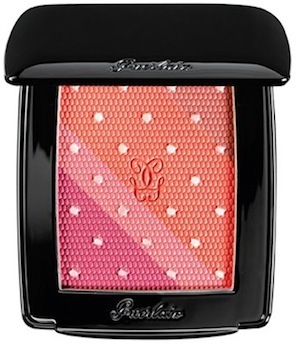 I love the “veil” effect on the top of the blush tablet–it’s the type of detail that makes Guerlain stand out. There are five new Eye Pencils ($30) in this collection. They’re retractable which I love, highly pigmented, long-lasting and water resistant, so they wear quite well on the waterline. In addition to Black Jack, I tried Amber Silver (obsessed), which is a metallic taupe. Amber Silver looks stunning when paired with neutral eye shadows and especially gray. 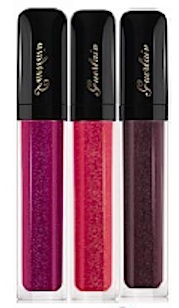 For lips, three shades of Gloss d’Enfer Maxi Shine glosses ($30) showcase the best of fall colour: 860 – Madame Batifole, an sparkling fuchsia (I’d say it’s closer to berry), 861 – Madame Flirte, sparkling red and 863 – Madame Fascine, a deep, sparkling purple. My favorite shade is 860; beautiful for brightening the face. 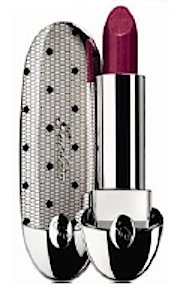 There is, perhaps, no lipstick more glamorous than Rouge G ($49.50) and this fall there are three new shades. 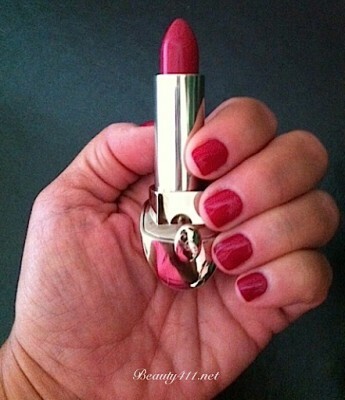 I tested 860 Madame Batifole, a vibrant fuchsia (again, I say berry) and love this shade for Fall. Highly pigmented, with what I’d consider a semi-matte finish, Rouge G lipstick has long-lasting wear and a sophisticated look in it’s limited-edition case. There is one shade of Le Vernis ($23) for nails and it’s perfection. 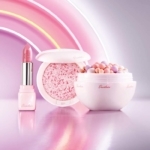 This was the first time I’ve tried Guerlain Le Vernis and am in love with the 860 Madame Batifole shade. It’s a deep fuchsia (on me it reads berry!) that is an exact match to the Rouge G lipstick (860). The brush is similar to the Dior brush, which does all the work for you. 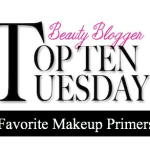 This formula has excellent color payoff and wear. I’d definitely re-buy more colors; love this polish! 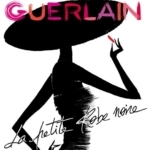 The Guerlain Voilette de Madame Collection for Fall 2013 is available this month at select locations of Saks Fifth Avenue, Nordstrom, Bloomingdales, Neiman Marcus, Sephora and Bergdorf Goodman. 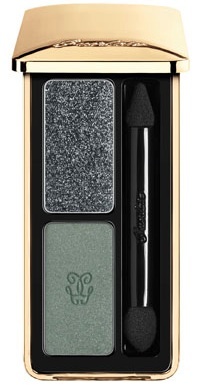 The colors are classic and exquisite; the very definition of Guerlain.